Property listed by JW Properties. First time on the market, this serene and visually commanding contemporary home has luxurious amenities and stylish detailing. Located in deep water at the mouth of Schneider’s Cove at the 20.5 mile marker on Lake Travis. Elegant interior boasts +/-6597 square feet of living space on 3.49 acres with five bedrooms, five full and two half baths, game room with full wet bar and wine cellar. It features a chef inspired kitchen with top of the line appliances. Expansive views of the lake from most every room. Please, send me more information on this property: MLS# 6289515 – $4,250,000 – 820 S Angel Light Dr, Spicewood, TX 78669. 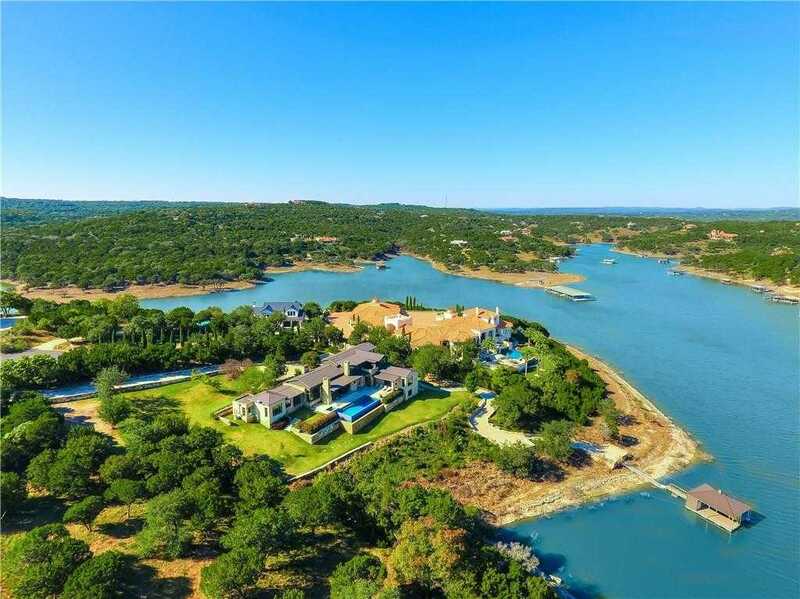 I would like to schedule a private showing for this property: MLS# 6289515 – $4,250,000 – 820 S Angel Light Dr, Spicewood, TX 78669.